We love Ralph Lauren's spring collection, possibly because it's reminiscent of The Great Gatsby (and you know we love our Gatsby). 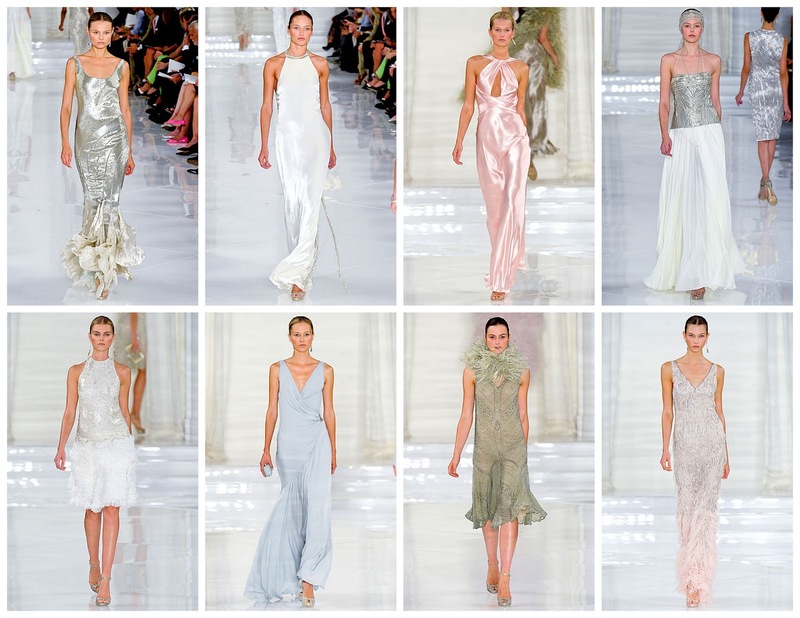 We love the soft, pale pastels and the fluttering dresses, which create such beautiful and romantic look. There were way too many pieces to choose from, so instead we focused on our favorite part of the collection: the evening dress. We wish we had some sparkly event to go to where we could wear these gorgeous, beaded, floor length dresses without looking ridiculous or over-the-top. This may be one of our favorite evening wear collections. The top left and bottom right are my faves...Sparkles and ruffles are a pretty magical combination.